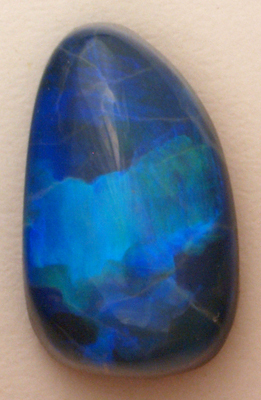 Australian Boulder Opal with black backing (doublet). This piece is mostly Opal – cut high-dome and backed with a sliver of Basonite. Pretty precious blue flashes as pictured.